From March 7th, 2016 Tonybet Poker is introducing a new rakeback system with loads of benefits and extra value so you could keep enjoying your online poker experience at Tonybet. Each day we'll be tracking your performance at the tables so we could give you up to 80% of your rake back! Every Monday we will reward your account with rakeback depending on your last week’s performance at our Hold’em and PLO cash game tables. On top of your weekly up to 80% rakeback you will also get to enjoy huge overlays in daily Tonybet Poker tournaments along with loads of extra cash and prizes while you’re competing in the €15,000 guaranteed Grinderz Leage and the €10,000 guaranteed Dreamerz Freeroll League with free cash, new iPhones and even a €3,000 Las Vegas package! 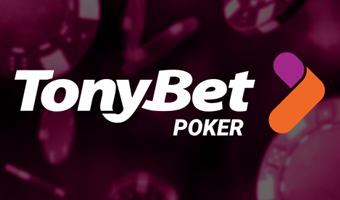 To find out more about the new Tonybet Poker rake system, please visit the rake page.